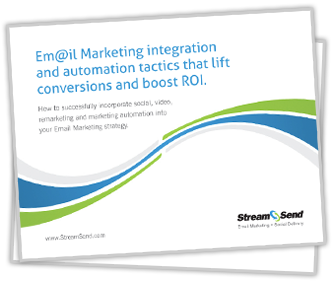 Social media is, of course, all the rage these days but did you know integrating email and marketing automation into your social media efforts can increase your revenue 6X? Did you know triggered emails that are part of the marketing automation process can yield 75% higher open rates and 115% higher click through rates? And how about the fact incorporating video with email can increase the performance of traditional direct mail by 280%? Yea, it's all true. Download this guide from Stream Send now and learn how to incorporate social, video, remarketing and marketing automation into your marketing strategy.